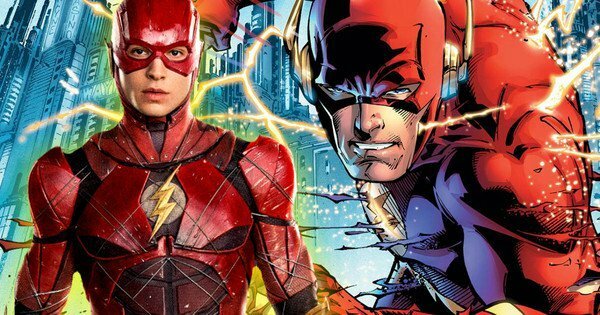 When Flashpoint was announced last summer at San Diego Comic Con, geeks everywhere were understandably sent into a frenzy, thinking the comic book story arc of the same name would be adapted for film. And, more recently, there was cause for celebration when John Francis Daley and Jonathan Goldstein were tapped to direct. Before we proceed any further, though, let’s make sure everyone’s caught up on the concept. In 2011, Geoff Johns penned a five-issue miniseries titled Flashpoint that saw the Scarlet Speedster go back in time to save his mother. In doing so, he royally screwed up the timeline, creating a world filled with darker heroes. Eventually, he (kind of) set things right, thereby allowing DC to do a linewide reboot in the form of the New 52. In the time since, this arc has been quite faithfully adapted as an animated movie, Justice League: The Flashpoint Paradox, and served as loose inspiration for season 3 of The Flash TV series. But even with those existing, seeing it realized with a massive Hollywood budget is enough to make any one of us hyperventilate. When some supposed character breakdowns emerged not long ago, though, I began noticing that this movie is shaping up to be quite different from the comic. In fact, I wondered if it’d end up being a straight-up Flash flick, and Flashpoint in name only. Soon after, THR’s Borys Kit posted something on Twitter, which you can view below. 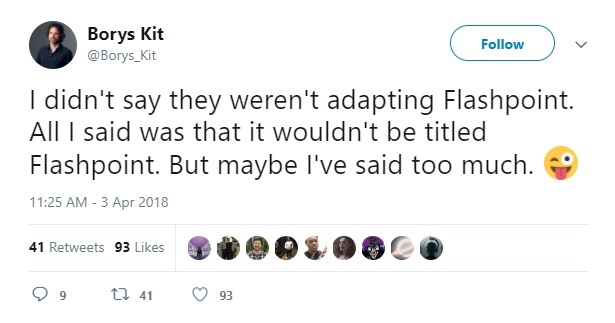 Quite frankly, it’d make zero sense to adapt Flashpoint and simply title the picture “The Flash,” or vice versa. Sure, only a fraction of the moviegoing audience actually reads comics, but expectations have been set. Still, my gut tells me that Ezra Miller’s next outing as Barry Allen will be a true solo effort – and that’s probably for the best.